Positive: Nice display; stylish design; decent speakers. Negative: Weak hardware; no HDMI port. Negative: Relatively high price; low performance; noisy under loads. Positive: High performance; decent hardware; elegant design; nice display; good speakers. Negative: Relatively high price; no HDMI output; no fingerprint sensor. Positive: Solid workmanship; compact size; nice design. Positive: Nice connectivity; compact size; good price; decent hardware. Positive: High mobility; long battery life; powerful hardware; comfortable keyboard. Positive: Nice design; compact size; light weight; solid workmanship; good hardware; long battery life. Negative: No 4G LTE; uncomfortable keyboard. Positive: Nice design; great built quality; decent hardware; good display. Positive: Solid workmanship; nice display; decent cameras; compact size; light weight. Negative: Average performance; poor connectivity; expensive accessories. Positive: Good price; compact size; nice design; solid workmanship; long battery life. Positive: Comfortable keyboard; premium design; solid workmanship; nice face ID. Positive: Modern design; nice display; good speakers. Negative: Mediocre ergonomy; poor cameras. Positive: Nice display; solid workmanship; silent system; decent connectivity. Negative: Poor cameras; mediocre ergonomy. Model: Remember the era of Windows tablets? Me neither and there is a reason. But I will come to that later. Surface Go is kind of a smaller, well not kind of, literally a smaller version of Surface Pro. Smaller in size, smaller in hardware etc. But the most annoying part is that almost all the accessories are sold separately and they are not cheap. Is that all? Nope. Let me ask you this, why do you use Windows? Because of productivity, right? I mean you are at office, dealing with excel, power point or need to use some other software to get stuff done. But with this device, you mostly can't. Because it is not a power house. Limited RAM, limited processor power, limited GPU whatever you call it. Now I beg the question, why would you need a windows tablet for? I don't know the answer unfortunately. Okay, I accept the fact that it is a tablet which comes with Windows. That is totally fine. But if my main buying point of the device is to watch videos and surf in the web, why should I pick it? While there are iPads, Android tablets providing an ecosystem with tons of apps to be installed and almost all are well optimized for the devices they are running on, why pick a trimmed down version of Windows? Especially the pricing is almost similar to each other. Of course it is the buyer’s decision to go and buy whatever they want. But I want to be reasonable here. If I were to buy a tablet just for watching videos and surfing, I would buy an Android device. Because, first they are cheap, second with the money I spare, I can buy a new one next year. If I long for usability over the years, I would spend a bit more and buy an ipad for better screen and apps and most importantly for the years of usage. Unfortunately I don't have a good reason to buy a Windows tablet at all. Main reason for that is, Microsoft is late to the game. Yes, with the Surface Book they have done a great job. They provided a great Windows device for mobility and usability. But with tablets, the ecosystem that Windows brings is just lacking the juice and has a long way to catch up to competition. Once the maturity of the platform catches up, I think it then can be considerable for tablet usage. My favorite question, would I buy this for my mum? Nope. For my mum, I would definitely buy an Android device or maybe an iPad. Well, I think an iPad is a better choice since she can't get viruses or similar and that would be less headache on my end. 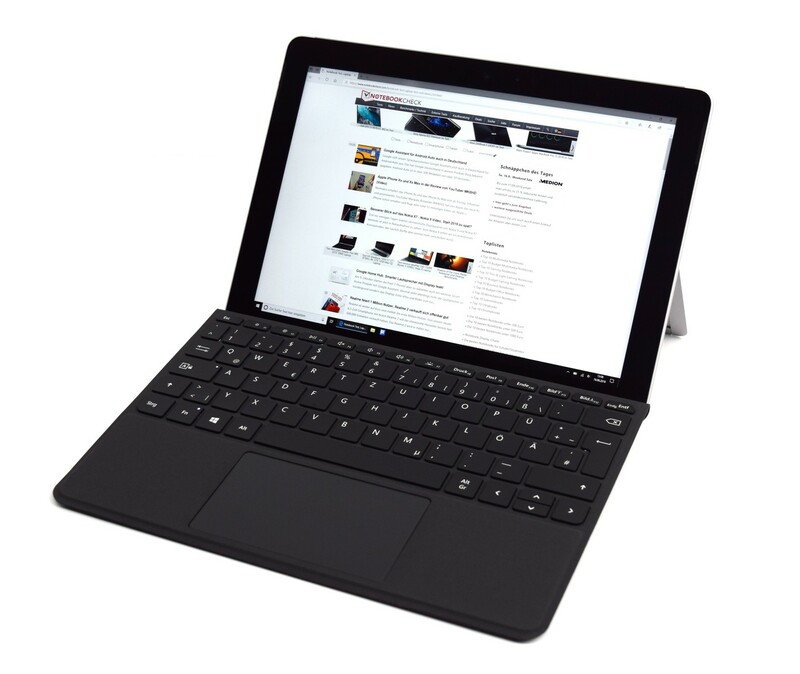 Overall, if you are a Windows fan, yes, you should definitely buy the tablet. But if you are looking for better specs and a better ecosystem, go check out some other Android devices and then iPads first. Then make up your mind. 4415Y: Extremely efficient ULV-SoC (System-on-a-Chip) for tablets and fanless notebooks based on the Kaby Lake architecture. Includes two CPU cores clocked at 1.6 GHz (fixed, no Turbo Boost) with Hyper Threading support as well as a graphics adapter and is manufactured in a 14 nm process. » Further information can be found in our Comparison of Mobile Processsors. 78.19%: This rating is not convincing. The laptop is evaluated below average, this is not really a recommendation for purchase.